"Brass Like You've Never Imagined!" 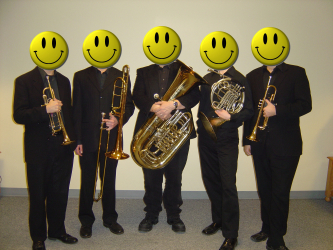 Bridge City Brass is Pittsburgh’s newest and most exciting brass quintet. Performing a wide variety of music, Bridge City has been hailed as the new force in the brass world. The group performs in and around the Pittsburgh area and is available for concerts, festivals, weddings, formal occasions, parties, school clinics, master classes, or any other occasion.